Early this summer I caught a glimpse of what I thought would turn out pretty decent come this fall. I then moved my trail cameras to where I thought he would be feeding and living and could not get a pic of this buck to save my life. I sat a lot of nights on this ridge glassing and he came out on a different trail every night and really had no pattern. He had 3 shooters also living with him, and I could get them 2 on camera but never the big one. This year the farmer bought a crossbow and said I could hunt his land if I could help him out and this land is one of the best around so I was all for it. He went out and bought a trail camera and set them up with me no idea knowing and he called me the other day and asked me if I could check it for him since he had no idea on how to do it. I said sure and told him to give it to me on the way out of the deer stands Sunday night. Opening day was 2 weeks ago and I have sat pretty much every possible day I could in every tree stand I had set up and got 60 yards away from him but I did not feel comfortable taking the shot at that range. Then I got home and checked the trail camera card and was blown away. We can use 2 gallons of bait and that was the ticket. He had a bunch of picture of this buck and he or me could not believe it. 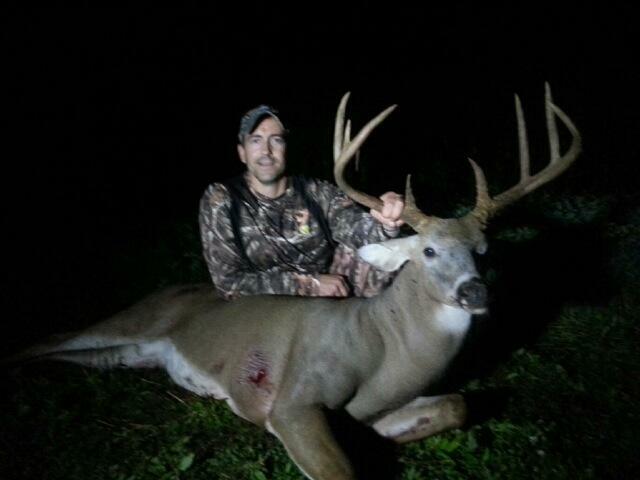 Sunday night my dad got a text from his friend saying he just dropped a monster. He texted back a little bit after he said he shot it with a picture of him. My heart dropped when I saw the pic since it was the buck I was chasing, he's only hunting about a half a mile or so from where I seen the buck. 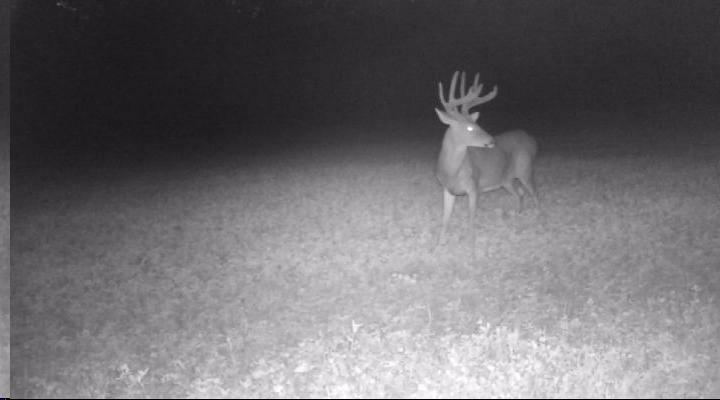 This buck will be on some TV show my dad said and will be articles on him since he is a pro staffer for a couple of company's. If any of you watch bow hunt or die this buck will be on their pretty soon. It's a shame you didn't get him, but maybe a bigger one will move in. 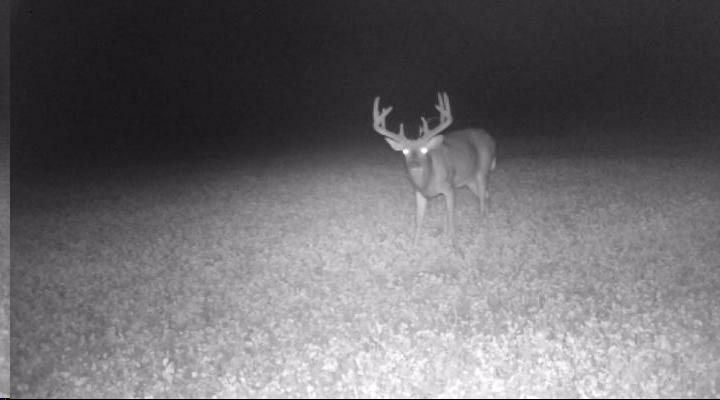 If he was a dominate buck then him being gone may allow a whole bunch of new bucks to move in. hey thats an awesome buck its a shame you didnt get a chance at him but atleast he was taken by another Legal hunter ! Not poached or lying beside the road dead after he was hit by a car! ray12 wrote: hey thats an awesome buck its a shame you didnt get a chance at him but atleast he was taken by another Legal hunter ! Not poached or lying beside the road dead after he was hit by a car!